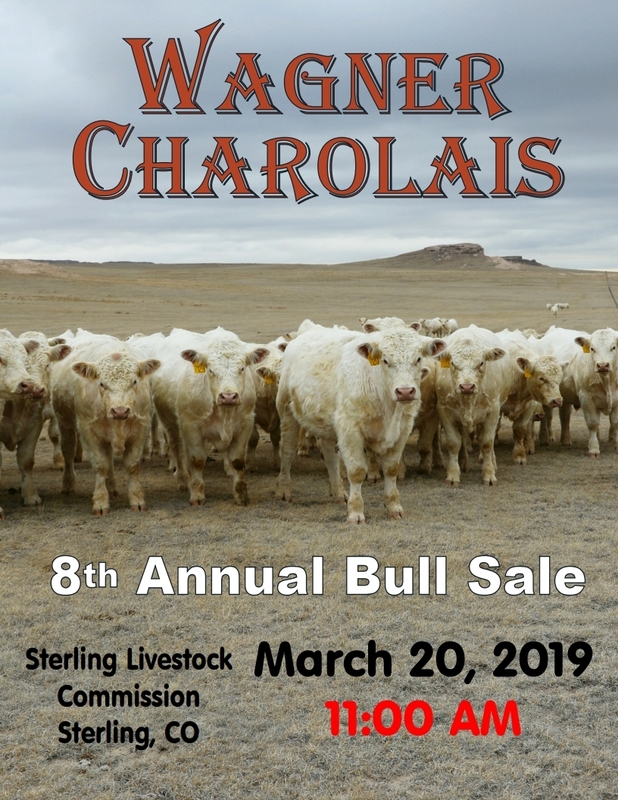 Wagner Charolais is the main enterprise of Wagner Ranch. Wagner Ranch is operated by Bob and Jan Wagner and is located in Northern Colorado, about 20 miles south of Cheyenne, WY, and 45 miles from both Fort Collins and Greeley. We are about 1.5 hrs from Denver and Denver International Airport. Cows calve in the Fall on pasture. Our bulls are raised almost entirely on pasture and are kept never in a pen. Calves are provided creep feed prior to weaning and are generally weaned in February (weather permitting). Calves are fed hay and supplement until grass is available (usually mid-May) and are pastured all Summer and Fall with cake supplement (1.5-4 lbs/day) as needed. 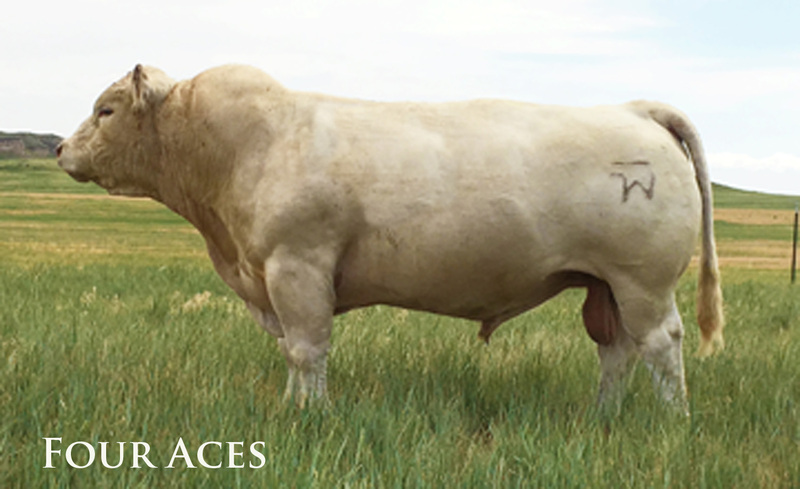 Wagner bulls are well muscled, easy doing bulls that, because of the way they are raised, have no foot or leg problems and will maintain their condition while breeding. 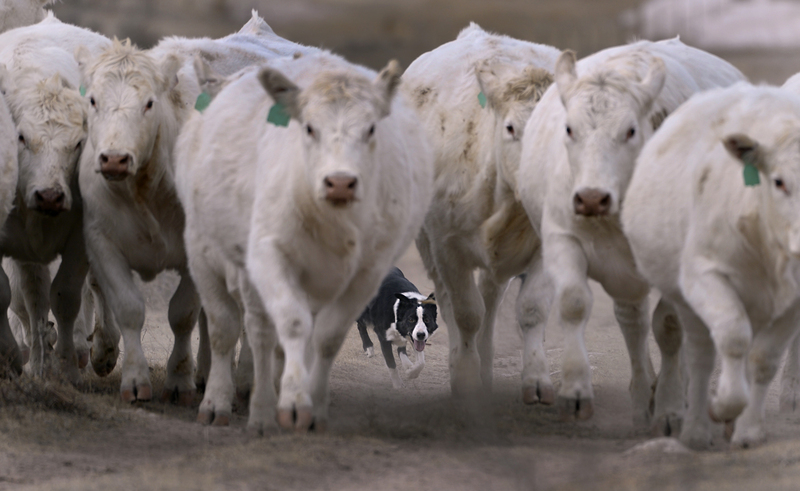 The bulls are selected for calving ease and performance. All have solid EPDs. Visitors to the ranch are always welcome.